When I first heard about the 2008 film “The Tale of Despereaux,” I wasn’t picturing a movie about a big-eared mouse. Instead, I proved once again that I’ve got Comics on the Brain, and found myself thinking of Despero, one of the Justice League’s arch enemies. Names aside, it’s pretty difficult to get them confused. Despero is a Hulk-sized alien. Despero is known for having three eyes. 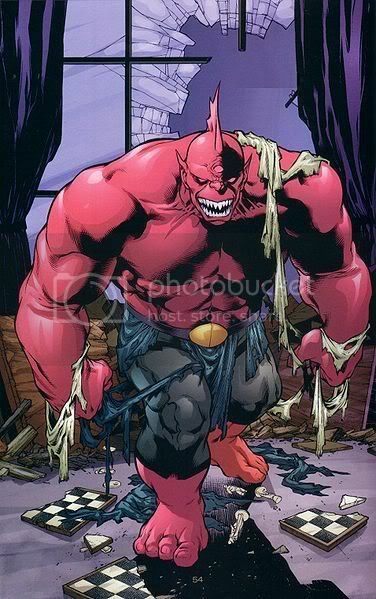 Despero is a villain known for his sadistic temprament. Despereaux is a hero, known for standing up for the little guy. 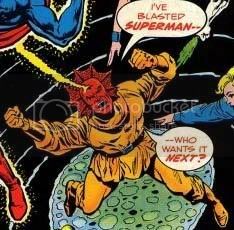 Despero once had a head that made him look like a triceratops (it’s since become a mohawk). Despereaux has ears that look big enough for a triceratops. Despero debuted in Justice League of America No. 1 from 1960. Despereaux debuted in “The Tale of Despereaux: Being the Story of a Mouse, a Princess, Some Soup, and a Spool of Thread” from 2004. Despero fights with super strength and psychic blasts. 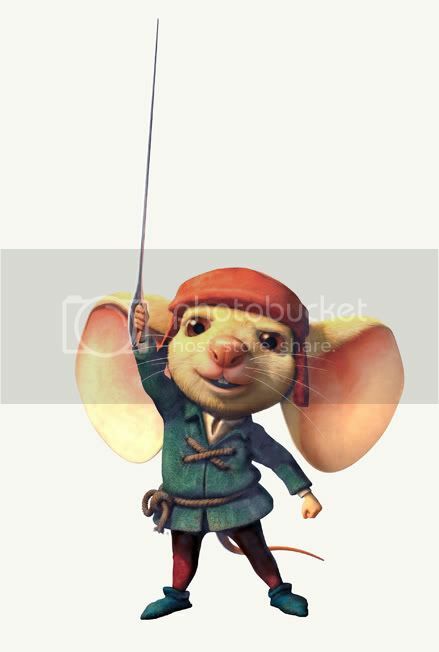 Despereaux fights with a sword. Despero once had his mind replaced with the consciousness of a robot. Despereaux now has his own video game, which is kind of like a robot. Despero was once a weakling, but got his strength powers from the Flame of Py’tar. Despereaux has always been a weakling, but finds strength of will from within. Despero has been killed several times, impaled by a steel beam and bitten by sharks, only to get better each time. So there you go, the difference between Despero and Despereaux. I just thought I needed to clear that up for myself, and hopefully I helped you too.